Well, here it is. 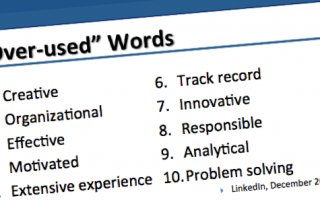 The 10 most-overused professional buzzwords on LinkedIn this year. Pretty much the same as last year. The top of the U.S. list? 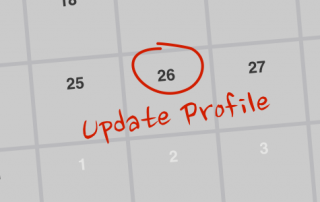 Creative, Organizational, Effective, Motivated and Extensive Experience. 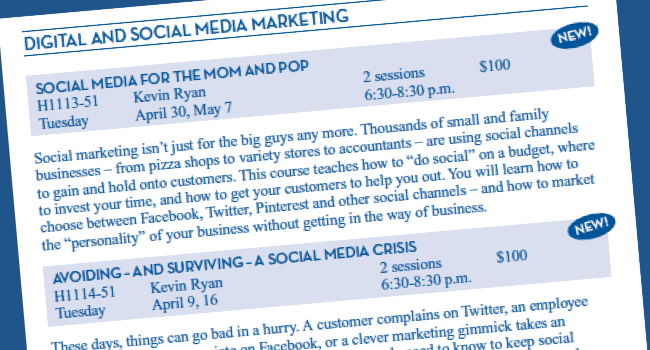 We’ve just learned that registration is now open for our social media classes at Hofstra Continuing Education this spring. 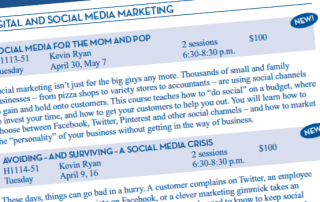 Click through to sign up at Hofstra CE registration page.